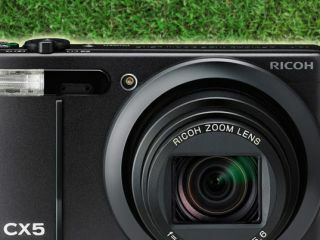 Our colleagues at PhotoRadar are giving away 3 Ricoh CX5 compact cameras worth £250 each in a prize competition to celebrate the 2011 Women's British Golf Open. The Ricoh CX5 features a fast autofocus system, super resolution zoom and scene modes, including the 'Golf Swing Continuous Mode' where gridlines appear when you take or playback photos, making it easy to check your swing position. The camera also features a 10 million pixel CMOS sensor and is equipped with a 28-300mm (35mm equivalent) lens. Step zoom allows for any of eight fixed lengths including 28mm, 35mm, 50mm, 85mm and 300mm to be used. The lens is constructed of 10 elements in 7 groups and has a maximum aperture of f/3.5-f/5.6 and has a 10x optical zoom, plus a digital zoom of 4.8x. Along with the golf swing mode, a number of other shooting modes including macro, pets, fireworks, cooking and creative art modes are available. The CX5 is also capable of high definition video recording. Ricoh is sponsoring the 2011 British Women's Open, more information can be found about the partnership on the dedicated microsite. PhotoRadar has three of the cameras to giveaway. To win one, all you have to do is answer a simple question. Find out more from PhotoRadar. Please note the competition is only open to GB residents.